Sporty and super comfortable pullover of heathered, ultra soft, 100% cotton knit. 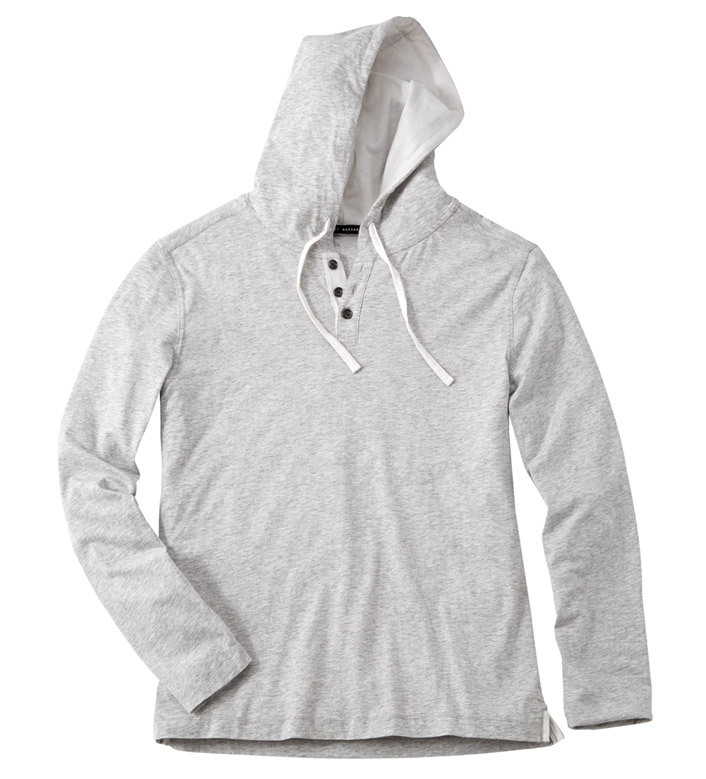 Long sleeves, three-button placket, drawstring hoodie, white trim, straight hem with side vents. Machine wash. Imported.